Skeletal muscle represents the largest organ of the body in non-obese individuals and is now considered to be an active endocrine organ releasing a host of so-called myokines. These myokines are part of a complex network that mediates communication between muscle, the liver, adipose tissue, the brain and other organs. Recent data suggest that myokines regulated by muscle contraction may play a key role in mediating the health-promoting effects of regular physical activity. Although hundreds of myokines have recently been described in proteomic studies, we currently have a rather limited knowledge of the specific role these myokines play in the prevention of insulin resistance, inflammation and associated metabolic dysfunction. Several myokines are known to have both local and endocrine functions, but in many cases the contribution of physical activity to the systemic level of these molecules remains as yet unexplored. Very recently, novel myokines such as irisin, which is thought to induce a white to brown shift in adipocytes, have gained considerable interest as potential therapeutic targets. In this review, we summarise the most recent findings on the role of myokines in the regulation of substrate metabolism and insulin sensitivity. We further explore the role of myokines in the regulation of inflammation and provide a critical assessment of irisin and other myokines regarding their potential as therapeutic targets. Insulin resistance and/or type 2 diabetes, which are characterised by a range of metabolic disturbances such as hyperinsulinaemia, enhanced hepatic gluconeogenesis, impaired glucose uptake, metabolic inflexibility and mitochondrial dysfunction, are often associated with a deficit of regular physical exercise and a sedentary lifestyle. Data from bed-rest studies performed in healthy individuals support the hypothesis that physical inactivity itself is one of the main causes of the development of metabolic disturbances. Skeletal muscle accounts for ~40% of body weight and constitutes the largest organ of the body in non-obese individuals. Nowadays, skeletal muscle is recognised as an endocrine organ, and proteins expressed by and released from skeletal muscle have been termed myokines . In three studies using primary human myotubes and proteomic approaches, hundreds of myokines have been identified, including more than 50 novel myokines [2, 3, 4]. It is supposed that the contractile activity of skeletal muscle affects its secretory function, which may link physical activity to the health-promoting effects of exercise. Myokines are part of a complex communication network within the body and play a pivotal role in the crosstalk between skeletal muscle and other organs, such as adipose tissue, liver and pancreas. Although several hundreds of myokines have been identified, information regarding their regulation by contraction or other stimuli is lacking in most cases. However, for a number of myokines, such as angiopoietin-like 4, IL-6, IL-15 and myostatin, skeletal muscle expression is enhanced and plasma concentrations are increased after exercise . Increased energy expenditure and, hence, improved energy balance may at least partly explain the positive effects of regular exercise. However, myokines released by contracting skeletal muscle may play a key role in mediating the beneficial effects of physical exercise . In support of this idea, several studies investigating the effect of physical inactivity have shown a rapid decline in insulin sensitivity and decreases in insulin-stimulated glucose uptake and GLUT4 protein content in human skeletal muscle . Moreover, physical inactivity has been shown to affect the partitioning of saturated fatty acids towards storage, resulting in enhanced incorporation of palmitate into intramuscular lipids and decreased palmitate oxidation (reviewed in ). Interestingly, transcriptional analysis of human skeletal muscle after 9 days of bed-rest revealed changes in the expression of >4,500 genes, and the downregulation of a total of 54% of genes involved in the oxidative phosphorylation pathway, including those encoding peroxisome proliferator-activated receptor (PPAR) γ coactivator 1α (PGC1α) . These data support the notion that physical inactivity per se is one of the main factors contributing to the onset of numerous chronic diseases. To date, these studies have mostly focused on changes in the expression of key players of insulin signalling and glucose/fatty acid metabolism. However, it would also be very interesting to study the impact of physical inactivity on the expression and release of myokines, since information on this topic is currently unavailable. This review aims to summarise our current knowledge of myokines and their role in mediating metabolic regulation and adaptation to physical activity, as well as their impact on inflammation. We will also discuss the potential of certain myokines as therapeutic targets for the treatment of metabolic disorders associated with a sedentary lifestyle. Myokines are very likely to be involved in the crosstalk between skeletal muscle and other tissues such as liver, adipose tissue, pancreas and gut. Therefore, their autocrine, paracrine, and/or endocrine effects with regard to metabolic regulation are an important focus of research, since they may help to overcome the above described impairments associated with insulin resistance. To date, effects on glucose metabolism have been described for only a few myokines. Most data are available for IL-6, which has been intensively studied during the past decades. Upon muscle contraction, IL-6 is released into the circulation the amount of which is dependent on intensity and duration of exercise  and the energy status of a muscle, as determined by pre-exercise glycogen content . This leads to an acute increase of IL-6 plasma levels during exercise, the main sources of which are the myofibres . It has been suggested that contraction-induced expression of IL-6 is independent of the IκB kinase/nuclear factor κB (NFκB) signalling pathway . Evidence for this has been provided by a study showing that the NFκB signalling pathway is not activated after exercise and that binding of the p65 subunit of NFκB to the Il-6 promoter decreases with skeletal muscle contraction . Results obtained in C2C12 myotubes and mice suggest that contraction-induced IL-6 expression is mediated by activation of c-Jun N-terminal kinase (JNK) and activator protein 1 (AP1) . A study on C2C12 myotubes has reported that the effect of IL-6 on muscle insulin sensitivity depends on the duration of exposure . Acute IL-6 treatment increased glucose uptake, while chronic exposure resulted in insulin resistance owing to activation of JNK and impairment of insulin signalling on the level of IRS-1 . 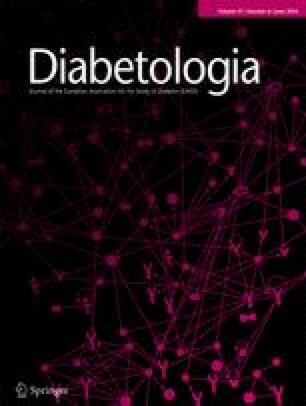 Interestingly, in vivo animal studies revealed that chronically elevated serum levels of IL-6 serum induced by either treatment with recombinant protein  or using a transgenic approach  improved whole body glucose tolerance and insulin sensitivity, which might be linked to augmentation of central leptin action. In vitro studies have shown that IL-6 signals via gp130Rb/IL-6 receptor agonist (IL-6Ra) in myotubes, which results in activation of AMP-activated protein kinase (AMPK) and/or phosphoinositide 3-kinase. These pathways mediate increased glucose uptake, GLUT4 translocation and glycogen synthesis on acute exposure to IL-6 (Table 1) [18, 19, 20]. Interestingly, ingestion of glucose during exercise blunts IL-6 secretion from contracting muscle , and a low pre-exercise muscular glycogen level augments the induction of IL-6 expression and release by exercise [11, 22]. Exercise-induced adaptation in skeletal muscle also includes an increase in pre-exercise muscular glycogen content. This observation may explain why the increase in contraction-induced IL-6 expression and secretion is diminished after a period of regular endurance training. Moreover, regular training decreases basal plasma level of IL-6 and increases basal IL-6 receptor mRNA expression in skeletal muscle resulting in enhanced IL-6 sensitivity . Interestingly, Jiang et al have recently demonstrated that myotubes from type 2 diabetic patients are resistant to the acute effect of IL-6 on glucose metabolism . Infusion studies in humans using recombinant IL-6 have suggested that endogenous glucose production is stimulated by IL-6 during exercise  (Table 1). However, this effect seems to be related to another as yet unidentified factor released during contraction since IL-6 infusion alone is not able to increase hepatic glucose production in resting individuals . Interestingly, IL-6-deficient mice display a similar level of blood glucose as wild-type controls after non-exhaustive exercise, suggesting that, at least in mice, IL-6 is not necessary for hepatic glucose production during exercise . Furthermore, animal studies have shown that IL-6 impairs the ability of insulin to suppress hepatic glucose production [26, 27], whereas this is not the case in humans . IL-13 was recently identified as a novel myokine that is released by human myotubes . Interestingly, type 2 diabetic individuals have significantly reduced serum levels of IL-13 compared with controls, and myotubes from these patients secrete 75% less IL-13 than myotubes from controls. Furthermore, Jiang et al suggested a role for IL-13 in skeletal muscle glucose metabolism by showing that treatment of myotubes with this protein increased basal glucose uptake and oxidation and glycogen synthesis (Table 1) . Moreover, a study using IL-13-deficient mice has suggested an implication for IL-13 in suppression of hepatic glucose production . To date, data regarding the regulation of IL-13 release and expression by exercise are not available. Stimulation of fatty acid oxidation is another important metabolic adaptation to physical activity that may be mediated via myokines. Human studies have shown that an acute increase in circulating IL-6 by infusion results in increased systemic fatty acid oxidation followed by an increase in systemic lipolysis [30, 31]. Interestingly, no effect on adipose tissue lipolysis was found , suggesting that IL-6 primary acts locally within muscle tissue on fatty acid metabolism. As summarised in Table 1, in vitro studies have shown that IL-6 increases myotube fatty acid oxidation and lipolysis via AMPK activation [32, 33]. Recently, a study using isolated mouse muscle reported that IL-6 induces intramuscular lipolysis in glycolytic, but not in oxidative, muscle, pointing towards a fibre-type specific action of IL-6 . The molecular background of this observation still needs to be determined. IL-15, which is expressed in skeletal muscle and released by myotubes [2, 35], potentially plays a role in lipid metabolism. Conflicting results have been reported concerning the regulation of IL-15 expression in skeletal muscle and circulating IL-15 upon exercise. While one study reported no change in IL-15 mRNA expression after acute resistance training , Nielsen et al observed a twofold increase in IL-15 mRNA expression in skeletal muscle, which, however, was not accompanied by an increase in muscular or plasma levels of the IL-15 protein . Other studies have reported elevated circulating IL-15 levels after a single bout of resistance or endurance exercise and after 8 weeks of resistance training [38, 39, 40]. Lower levels of IL-15 have been reported in type 2 diabetic patients compared with controls . Moreover, a negative association has been found in humans between plasma IL-15 levels and total adipose tissue mass , and IL-15 has been found to be decreased in obese individuals compared with lean controls . IL-15 was reported to increase fatty acid oxidation in isolated rat extensor digitorum longus muscle via induction of PPARδ expression  and to inhibit lipid accumulation in pre-adipocytes  (Table 1). Overexpression of IL-15 in skeletal muscle resulted in reduced body fat, suggesting a potential role in the regulation of fat mass [6, 45]. Brain-derived neurotrophic factor (BDNF) is another myokine that may impact on fatty acid metabolism. BDNF mRNA expression and protein has been detected in human skeletal muscle and C2C12 cells , and our group recently reported BDNF in the supernatant fraction of human myotubes . While in patients with type 2 diabetes circulating levels of BDNF are decreased independently of obesity , exercise has been demonstrated to increase serum BDNF levels and BDNF mRNA and protein expression in human skeletal muscle . However, it has been shown in humans that 70–80% of circulating BDNF originates from the brain during both rest and after exercise, suggesting the brain as the major source of this factor . In vitro studies using C2C12 cells have shown that BDNF increases fatty acid oxidation (Table 1) via activation of AMPK and phosphorylation of acetyl-CoA carboxylase . While BDNF has no direct effect on glucose uptake or gluconeogenesis in primary cultured hepatocytes, L6 myotubes or 3T3-L1 adipocytes , a potential effect on lipolysis has not been studied so far. Recent studies have suggested potential crosstalk between skeletal muscle and pancreas. Using supernatant fractions from insulin-sensitive vs insulin-resistant (resulting from TNFα treatment) human myotubes for incubation of human and rat primary beta cells, Bouzakri et al observed a differential impact on these cells . Supernatant fractions of normal myotubes increased the proliferation of beta cells and glucose-stimulated insulin secretion (GSIS). However, supernatant fractions of insulin-resistant myotubes increased apoptosis and decreased proliferation independently of TNFα, while blunting of GSIS was shown to be a TNFα-mediated effect. Further analyses revealed that the panel of myokines expressed and released is different between insulin-sensitive and insulin-resistant myotubes. Several myokines, such as vascular endothelial growth factor, chemokine (C-X-C motif) ligand 1 (CXCL1), IL-8 and IL-6, were induced by TNFα treatment. However, the authors were not able to determine which myokines mediate the observed effects on beta cells. Recent data from Ellingsgaard et al have shown that IL-6 increases proliferation of both alpha and beta cells and prevents apoptosis of alpha cells owing to metabolic stress (Table 1) . Moreover, IL-6 promotes glucagon-like peptide-1 (GLP-1) secretion and production in intestinal L cells and pancreatic alpha cells, thereby leading to improved beta cell insulin secretion and glucose tolerance . These data could explain the increase in GLP-1 plasma levels during exercise [52, 53, 54], which may be mediated by skeletal muscle-derived IL-6. Since the effect of GLP-1 on insulin secretion is glucose dependent, IL-6-induced GLP-1 release will not acutely affect insulin secretion in healthy individuals during exercise, but, rather, promote insulin secretion during a post-exercise meal . Furthermore, an interaction between GLP-1 and IL-6 in the brain has been recently described, showing that activation of central GLP-1 receptors increases IL-6 expression in the hypothalamus and hindbrain. These data point towards a role of central IL-6 in mediating the anorexic and body weight loss effects of GLP-1 receptor activation . Fractalkine (also known as CX3CL1), described by Henningsen et al as a myokine , might also play a role in crosstalk to the pancreas. This chemokine has been reported to be associated with obesity, insulin resistance and type 2 diabetes . However, another study has found no differences in circulating CX3CL1 levels between type 2 diabetic patients and controls. Another study recently reported increased CX3CL1 mRNA and protein expression in the skeletal muscle, as well as increased circulating levels in healthy volunteers after an acute bout of exercise . Other data have provided evidence that treatment of islets with CX3CL1 increased intracellular Ca2+ and potentiated insulin secretion in both mouse and human islets. Moreover, expression of CX3CL1 in islets of mice was decreased by ageing and high-fat diet feeding/obesity . Further studies are needed to understand how fractalkine affects pancreatic function. Enlargement of adipose tissue as a consequence of a sedentary lifestyle and excess energy intake results in a local inflammatory response in the visceral adipose tissue, infiltration of immune cells and local and systemic increases in proinflammatory cytokines and adipokines. Thus, obesity, insulin resistance and type 2 diabetes are associated with chronic low-grade systemic inflammation , and regular physical activity protects against a number of chronic diseases that are characterised by inflammation [61, 62]. While regular physical exercise has been shown to reduce basal levels of inflammatory markers [63, 64], physical inactivity results in elevated levels of inflammatory markers [65, 66]. Whether certain myokines may be directly implicated in the anti-inflammatory effects of exercise is currently under investigation. It is known that regular physical activity reduces inflammation and improves insulin resistance. Cross-sectional studies have shown a strong inverse association between the level of physical activity and systemic low-grade inflammation [67, 68, 69, 70]. These observations might be explained by an anti-inflammatory effect of regular exercise, which could be mediated via different mechanisms. The scheme presented in Fig. 1 summarises the impact of physical activity levels on systemic inflammation status and which mechanisms are potentially involved. Regular physical activity and an active lifestyle results in enhanced energy utilisation, thus leading to reductions in body weight and visceral fat mass, which is an important source of proinflammatory cytokines [60, 71]. This may explain in part the reduction of inflammatory markers such as C-reactive protein following long-term exercise [70, 72]. In addition, it has been shown that exercise decreases the expression of Toll-like receptor (TLR)2 and TLR4 in immune cells and skeletal muscle [73, 74, 75], while even short-term bed-rest increases the expression of TLR4 . Importantly, activation of TLRs in skeletal muscle by factors such as lipopolysaccharide (LPS), heat shock protein 60 or NEFA has been suggested to be involved in the development of insulin resistance [73, 76]. Moreover, because of exercise-induced increases in adrenaline (epinephrine), cortisol and other factors with immunomodulatory effects, physical activity may also have beneficial effects on immune system function . To investigate the hypothesis that acute exercise induces a direct anti-inflammatory response , healthy volunteers received LPS endotoxin to induce low-grade inflammation during resting or after cycling for 2.5 h. In resting individuals LPS endotoxin administration resulted in a strong increase in plasma TNFα. Interestingly, in the exercising volunteers the TNFα response to LPS endotoxin was totally blunted, thus supporting the idea that physical activity mediates anti-inflammatory activity. These data are further supported by in vitro experiments involving electrical pulse stimulation of primary human myotubes, which induces contraction of the cells . Our group has demonstrated that, by blocking the proinflammatory NFκB signalling pathway, electrical pulse stimulation prevents the inflammatory responses induced by various inflammatory stimuli . IL-6 is acutely increased in the circulation in response to exercise  and patients with insulin resistance, obesity and type 2 diabetes display chronically elevated serum levels of IL-6 [80, 81, 82]. An important source of circulating IL-6 in obesity is the expanding visceral adipose tissue mass. Expression of IL-6 by macrophages within the adipose tissue is dependent on activation of the NFκB signalling pathway, whereas intramuscular IL-6 expression is regulated by different signalling cascades involving Ca2+, nuclear factor of activated T cells , calcineurin , p38 MAPK signalling  and JNK/AP1 . These observations led investigators to question the functional role of IL-6 after exercise and in inflammatory conditions (reviewed in detail by Pedersen et al ). It is known that IL-6 released by contracting skeletal muscle triggers an anti-inflammatory cascade by inducing the production of the anti-inflammatory cytokines IL-10, IL-1, IL-1RA and soluble TNF receptor (sTNFR) . Moreover, data suggest that IL-6 inhibits the production of proinflammatory TNFα. Starkie et al have reported that in healthy humans elevation of plasma IL-6 levels by acute exercise or infusion of IL-6 blunts an LPS-endotoxin-mediated increase in TNFα . The presence of IL-10, IL-1RA, and sTNFR in the circulation after exercise contributes to the anti-inflammatory effect of exercise (Fig. 1). IL-10 inhibits the production of proinflammatory factors such as IL-1α, IL-1β, TNFα, IL-8 and MIPα . IL-1RA is a member of the IL-1 family, binds to the IL-1 receptor, and inhibits the intracellular signal transduction, thereby reducing the proinflammatory cascade induced by IL-1β . sTNFR is the naturally occurring inhibitor of TNFα . Very recently, our group identified chitinase-3-like protein 1 (CHI3L1) as a novel myokine . Interestingly, plasma CHI3L1 levels are upregulated in patients with insulin resistance and type 2 diabetes, independently of obesity . However, the physiological role and source of circulating CHI3L1 remains largely unknown. Our in vitro experiments have shown that the expression and release of CHI3L1 is stimulated by proinflammatory cytokines such as TNFα. We have reported evidence that CHI3L1 protects myotubes from TNFα-induced insulin resistance and inflammation by inhibiting NFκB activation, suggesting that CHI3L1 is an auto-protective factor that is induced upon demand to protect skeletal muscle from the negative impact of TNFα . Interestingly, similar effects have been observed for CX3CL1. Data recently presented by Plomgaard et al have shown that CX3CL1 also prevents TNFα-induced insulin resistance by blocking the NFκB signalling pathway . Furthermore, circulating levels are increased by acute exercise and TNFα-infusion . In vitro data using human myotubes have indicated that TNFα treatment induces CX3CL1 mRNA expression. However, analysis of myotube-conditioned media found no elevated release of fractalkine after TNFα treatment , which could mean that skeletal muscle may not be the main source of circulating CX3CL1 after TNFα infusion. CX3CL1 is also produced by adipose tissue, and serum levels of this adipochemokine are positively associated with obesity, insulin resistance and type 2 diabetes . Taken together, these data indicate that myokines such as IL-6, CHI3L1 and CX3CL1 may be involved in mediating the anti-inflammatory effects of exercise and thus in mediating the beneficial effect of exercise on health. In contrast to the observation that regular moderate exercise reduces chronic inflammation, high intensive training causes the temporary depression of various aspects of immune function and an increase in systemic inflammation for a certain post-exercise period (~3–24 h) . After very intensive exercise such as marathon running, TNFα and IL-1β levels increase in response to muscle damage [79, 90, 91]. It is well established that muscle repair and regeneration after acute muscle injury involves tissue remodelling and growth-promoting local inflammation. The initial inflammatory response is required for the muscle repair process to have a positive outcome . In conclusion, it is obvious that regular physical activity is useful for the prevention and therapy of various pathological conditions. For type 2 diabetic patients, a combination of both endurance and strength training has been suggested to be the most beneficial type of exercise training to improve glycaemic control . To understand the underlying mechanism of the anti-inflammatory effect of exercise in more detail, future efforts may also need to focus on the endocrine effects of myokines on immune cells. As a result of our improved understanding of myokine biology, the interest in contraction-regulated myokines as therapeutic targets has grown significantly. Some of the strategies being discussed include increasing the mass or activity of brown adipose tissue (BAT) and promoting browning of white adipose tissue (WAT). This idea is based on the finding that the activity of BAT correlates with decreased BMI and adipose tissue mass and augmented energy expenditure [94, 95, 96, 97]. Two myokines have been suggested to activate a white to brown shift in adipocytes, namely, irisin  and fibroblast growth factor 21 (FGF21) . Moreover, FGF21 enhances insulin sensitivity. In addition, follistatin-like 1 (FSTL1) has been described as a cardioprotective myokine. Therefore, these are the three myokines discussed here regarding their potential as therapeutic targets (see text box). Irisin—does it keep its promises? Boström et al observed enhanced Fndc5 mRNA expression in the skeletal muscle of a muscle-specific PGC1α-overexpressing mouse model . Data from the group indicated that this protein is cleaved to liberate the extracellular part, which acts as a novel signalling peptide and is called irisin. Western blot analysis indicated circulating irisin in both mice and humans and was increased after exercise. However, the antibody used in these analyses is not able to detect irisin since it binds to the non-secreted portion of FNDC5 [100, 101]. Therefore, these data need to be reconsidered and re-assessed using independent experimental approaches. Up to now, a total number of nine publications have described 15 different exercise studies in humans of different durations and types of exercise. An increase (of 1.3–2-fold) in FNDC5 mRNA expression in skeletal muscle was reported in only four cohorts [98, 102, 103, 104], and three studies reported increased circulating irisin levels after exercise [104, 105, 106] (Table 2). Our group has recently published an analysis of genomic DNA, mRNA and expressed sequence tags indicating that FNDC5, the gene encoding the precursor of irisin, is present in rodents and most primates . However, in humans we observed a mutation that changes the conserved start codon ATG to ATA. HEK293 cells transfected with a human FNDC5 construct with ATA as a start codon only expressed 1% full-length protein compared with human FNDC5 with ATG. Thus, the mutation results in very low translation efficiency of full-length FNDC5. Based on our findings, we propose that irisin should be barely detectable in human samples . Nevertheless, at least 18 studies from various groups have quantified the level of irisin protein in plasma [103, 105, 107, 108, 109]. All these studies have relied on commercially available enzyme immunoassay kits that have not been fully validated. Basal circulating irisin levels in controls differ markedly, ranging from 0.04 ng/ml  to 2,158 ng/ml  (Table 2). Most importantly, none of the antibodies has been tested for cross-reacting proteins in plasma . Future studies are urgently required to identify FNDC5 protein species potentially present in human serum. Nevertheless, the hypothesis described by Boström et al seems promising: irisin as a circulating factor that induces a white to brown shift in adipocytes, thereby enhancing whole body energy expenditure. This principle has been demonstrated comprehensively for mouse-derived pre-adipocytes and mice treated with recombinant FNDC5 [98, 111]. Even though irisin might not be expressed in human cells, could it be a potential drug for humans since downstream signalling pathways might still exist? We have shown that primary human pre-adipocytes isolated from subcutaneous adipose tissue exhibit differentiation and a white to brown shift when treated with bone morphogenetic protein 7. However, neither our group nor others has detected a white to brown shift in response to recombinant irisin or FNDC5 obtained from different sources [100, 112]. Therefore, the proposal that FNDC5/irisin is a contraction-regulated browning factor and its potential use as a therapeutic need to be reconsidered. FGF21 is a member of the fibroblast growth factor superfamily, a large family of proteins involved in cell proliferation, growth and differentiation. Serum levels of FGF21 are significantly higher in type 2 diabetic patients than in healthy controls . Izumiya et al have described FGF21 as an Akt-regulated myokine based on their findings of an insulin-mediated increase of FGF21 protein level and secretion in C2C12 myotubes, and a phosphoinositide 3-kinase inhibitor-mediated prevention of these effects . In addition, a hyperinsulinaemic–euglycaemic clamp study in young healthy men has revealed an induction of FGF21 mRNA in skeletal muscle and increased plasma levels . These data may link insulin-activated Akt to enhanced FGF21 secretion from skeletal muscle. Circulating FGF21 serum levels have been studied in three human exercise studies, with divergent results (Table 2). While 3 months of combined aerobic and resistance exercise diminished FGF21 serum levels , 2 months endurance training had no effect on FGF21 serum levels or FGF21 mRNA expression in skeletal muscle . Most interestingly, 2 weeks of daily endurance training and an acute bout of endurance exercise enhanced circulating FGF21 levels and this was accompanied by increased serum levels of NEFA [118, 119]. However, in mice, Kim et al observed no increase of Fgf21 mRNA expression in soleus and gastrocnemius muscles and epididymal WAT after an acute bout of exercise, whereas hepatic Fgf21 mRNA expression was significantly enhanced. Therefore, the authors suggested that hepatic FGF21 contributes to increased serum levels after exercise and that this is most likely due to exercise-induced lipolysis . Thus, future studies need to clarify whether FGF21 is a contraction-regulated myokine by investigating changes in the expression of skeletal muscle Fgf21 mRNA and protein to determine whether they are responsible for the increased serum levels of FGF21 serum observed after exercise. Based on the finding that hepatic Fgf21 mRNA expression is dramatically induced by fasting [120, 121], Izumiya et al studied liver tissue and gastrocnemius muscle samples from 48 h fasted mice and reported similar levels of FGF21 protein in the two . Although it is a challenge to determine the exact tissue, or even the cell type within a certain tissue, that acts as a major source of circulating proteins, the current data presume that skeletal muscle might may be an additional important source of circulating FGF21. It is most likely that FGF21 serum levels are determined by whole body metabolic status. It has been demonstrated that FGF21 acts on several tissues by affecting carbohydrate and lipid metabolism, enhancing insulin sensitivity, decreasing triacylglycerol concentrations and causing weight loss (reviewed in ). FGF21 administration improves metabolic phenotypes such as increased fasting glucose, insulin and triacylglycerol levels in different obese mice models and diabetic rhesus monkeys [123, 124, 125, 126]. Additionally, experiments on FGF21-treated mice indicated that this protein regulates whole body insulin responsiveness by enhanced glucose uptake in skeletal muscle, WAT and BAT and improved suppression of WAT lipolysis . Furthermore, FGF21 promotes a white to brown shift of WAT in mice treated with recombinant FGF21 , as demonstrated by increased oxygen consumption in WAT and increased mRNA expression of typical markers of brite adipogenesis . The results of two recent studies indicate that the beneficial effects of FGF21 are not merely mediated by the protein itself [127, 128] given that, in mice, FGF21 stimulates the production and secretion of the adipocyte-specific hormone adiponectin in WAT. Adiponectin seems to play a central role for the effects of FGF21 on whole body metabolism and insulin sensitivity since these effects are almost completely abolished in adiponectin knockout mice [127, 128]. Of note, IL-15 is another contraction-regulated myokine that stimulates secretion of adiponectin, and IL-15 treatment improves glucose homeostasis and insulin sensitivity in obese mice . Based on experimental data showing beneficial effects of FGF21 in the context of obesity, a study was initiated to investigate the effects of the FGF21 analogue LY2405319 in obese type 2 diabetic patients . LY2405319 has been shown to have favourable effects on body weight and fasting insulin levels. Moreover, it results in a shift to a potentially less atherogenic apolipoprotein concentration profile . Thus, FGF21 or FGF21 analogues seem to be interesting therapeutic targets. FSTL1, also known as TSC36, is a secreted glycoprotein that has limited homology with other members of the follistatin family, which classically act as binding partners of the TGFβ protein family. FSTL1 is secreted by skeletal muscle, and based on initial data it has been classified as a contraction-regulated myokine (Table 2). Most interestingly, it is upregulated via Akt signalling. Ouchi et al have proposed that FSTL1 can be designated as a myokine that acts on vascular endothelial cells . In murine skeletal muscle, overexpression of FSTL1 was shown to promote endothelial cell function and revascularisation in ischaemic tissue. Moreover, FSTL1 secretion by primary human myotubes is enhanced in response to proinflammatory cytokines such as IL-1β and IFNγ . It can be speculated that enhanced FSTL1 secretion by myotubes counteracts the harmful effects of proinflammatory adipokines on the muscular vasculature. However, skeletal muscle is not the only tissue to express and release FSTL1. Proteomic approaches have identified FSTL1 in the supernatant fraction of primary human adipocytes , in the supernatant fraction of human endothelial cells  and in lysates of murine cardiac myocytes . FSTL1 is described as a cardioprotective cytokine. Its expression is induced in the heart by ischaemic insults, and systemic administration of FSTL1 protects the heart from ischaemia/reperfusion injury . Shimano et al have described cardiac FSTL1 as functioning as an auto-/paracrine regulatory factor that prevents myocyte hypertrophic growth and the loss of ventricular performance in response to pressure overload . In preclinical animal models of ischaemia/reperfusion, FSTL1 has been demonstrated to prevent myocardial ischaemia/injury by activating AMPK, thereby inhibiting apoptosis and inflammatory responses . FSTL1 therefore appears to be a clinically relevant factor that participates in pathophysiological responses to cardiovascular stress, which is closely associated with type 2 diabetes. However, there is currently no information available concerning circulating levels of FSTL1 in insulin-resistant and/or type 2 diabetic patients, and more data are necessary to evaluate the potential of FSTL1 as a therapeutic target. Myokines are key elements of the multi-organ crosstalk communication network, and they play a prominent role in mediating the health-promoting effects of regular physical activity. This involves substrate oxidation, lipid partitioning, reduced inflammation and improved pancreatic beta cell function. The list of new myokines is continuously increasing, whereas the physiological impact of this multitude of molecules remains largely unexplored. This is complicated by differences in the local and systemic concentrations of many myokines, and by a substantial overlap of myokines and adipokines. The comprehensive analysis of the myokine network will help to identify druggable targets in the future. We apologise to the many authors of original research whose publications we could not cite owing to space restrictions. The secretarial assistance of Birgit Hurow (Paul Langerhans Group for Integrative Physiology, German Diabetes Center, Düsseldorf, Germany) is gratefully acknowledged. K. Eckardt is supported by the Deutsche Forschungsgemeinschaft (German Research Foundation; EC 440/1-1). Furthermore, the work was supported by the Ministerium für Wissenschaft und Forschung des Landes Nordrhein-Westfalen (Ministry of Science and Research of the State of North Rhine-Westphalia), the Bundesministerium für Gesundheit (Federal Ministry of Health), and in part by a grant from the Bundesministerium für Bildung und Forschung (German Federal Ministry of Education and Research) to the Deutsches Zentrum für Diabetesforschung (DZD e.V. ; German Center for Diabetes Research) and the Leibniz Gemeinschaft (Leibniz Association; SAW-FBN-2013-3). All authors were responsible for the conception, design and drafting of the manuscript and approved the final version for publication.